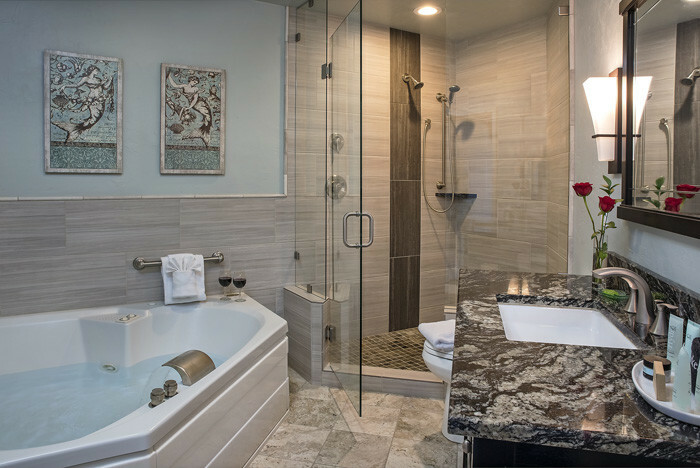 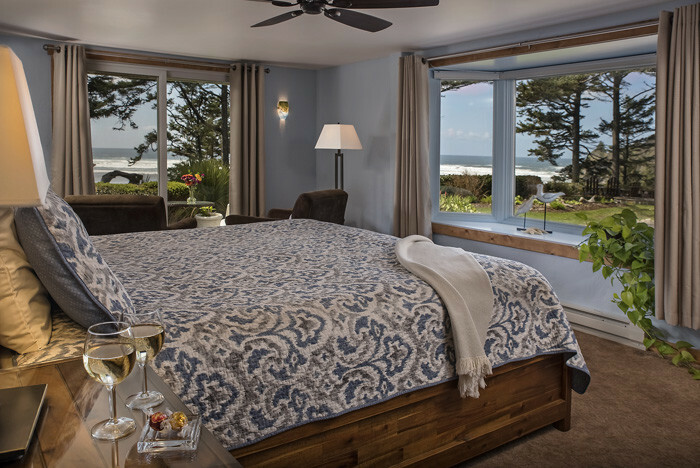 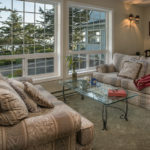 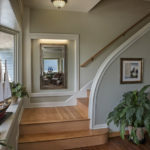 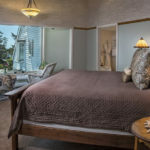 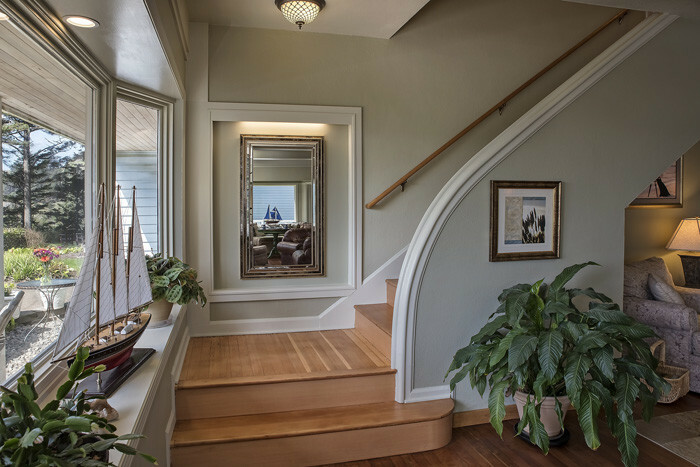 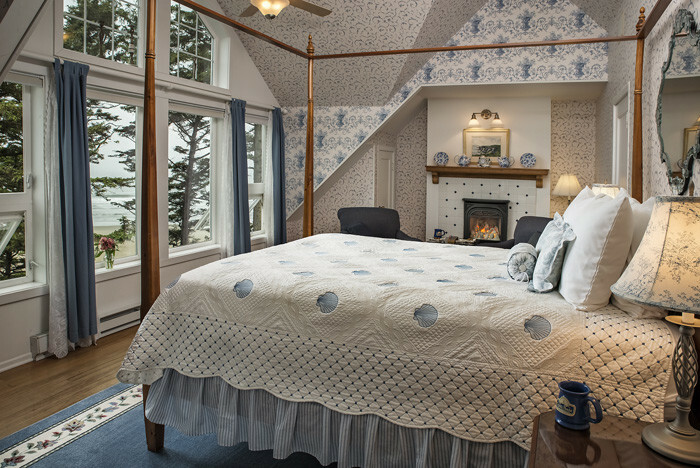 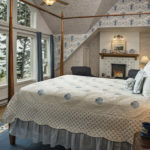 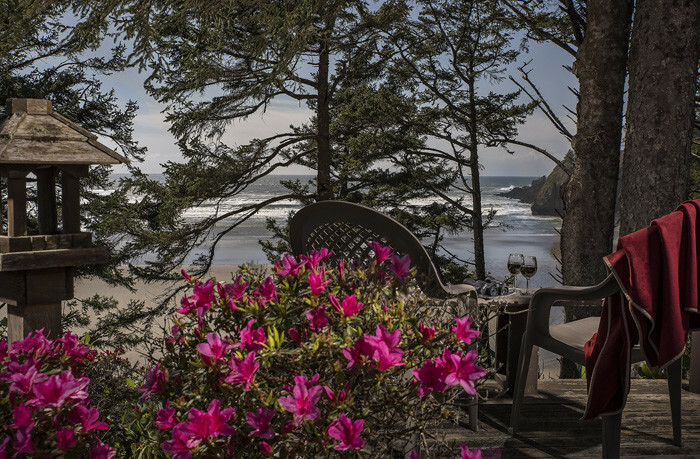 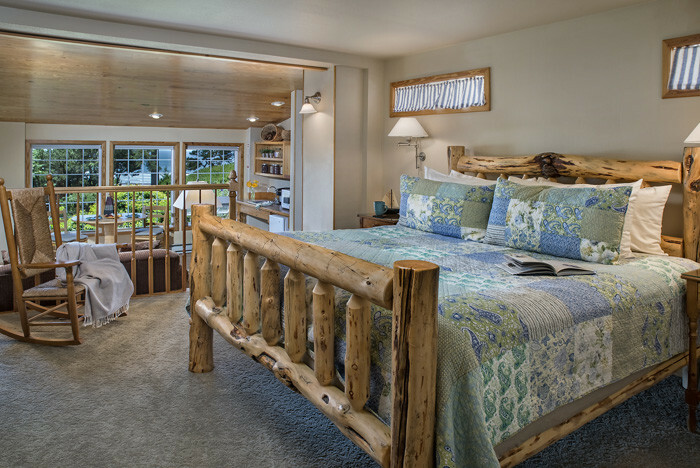 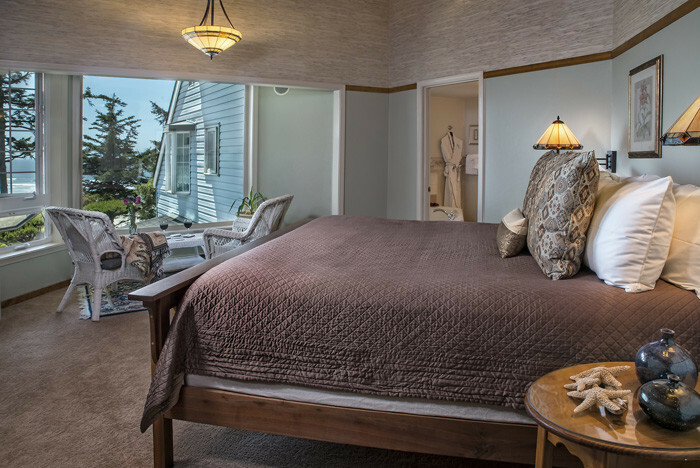 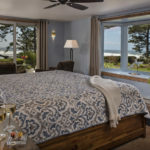 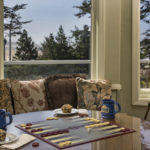 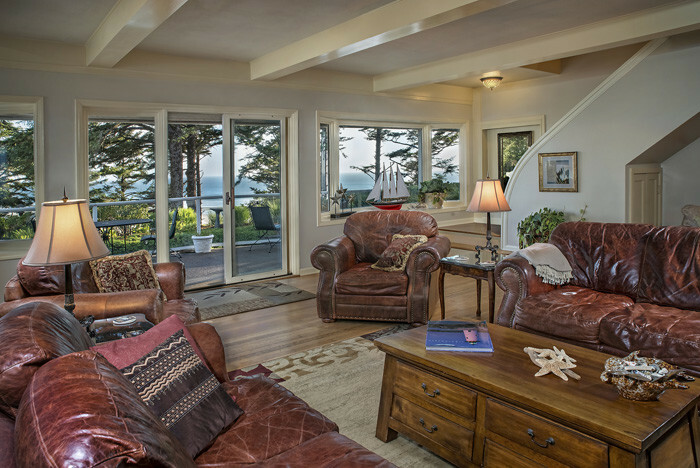 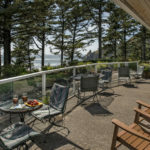 Overlooking the Pacific Ocean on a forested bluff rests an Oregon coast oceanfront Inn, The Ocean House Bed & Breakfast Inn. 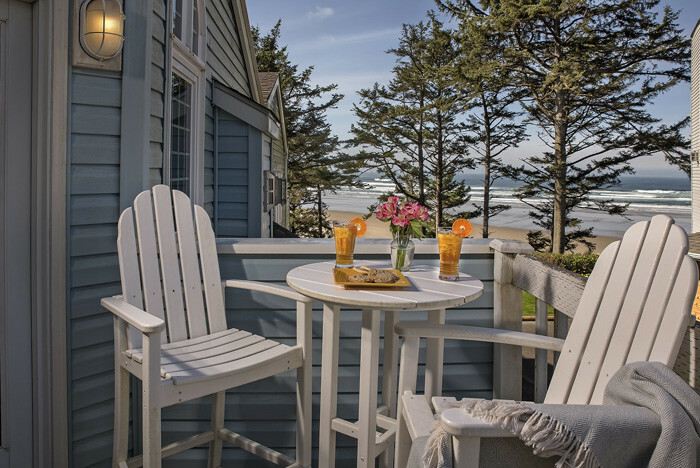 A picture-perfect Central Oregon oceanfront setting. 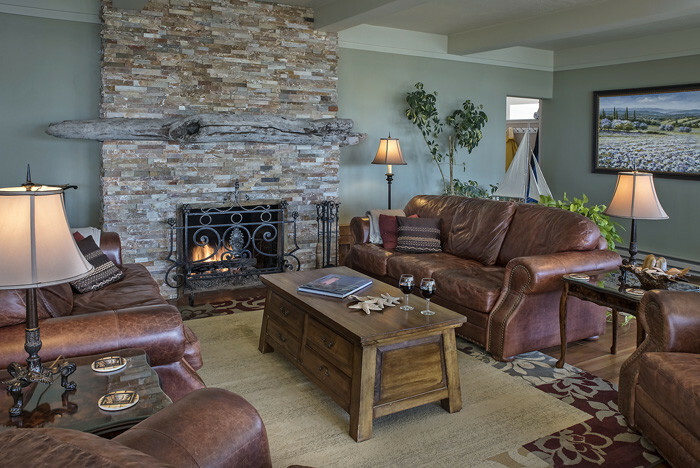 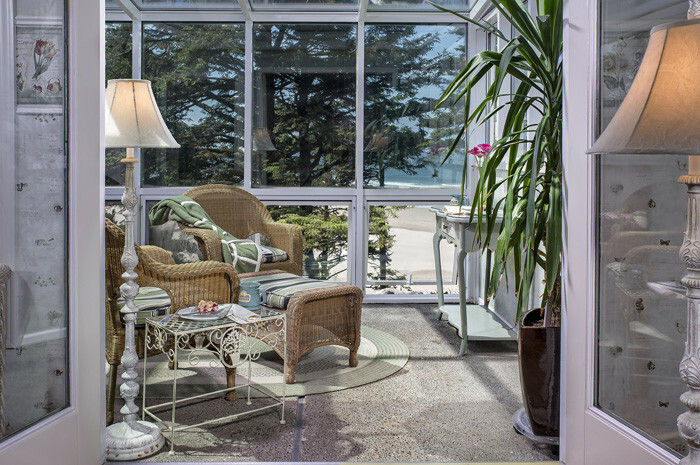 Guests come to the Inn to experience the tranquil surroundings inside and out. 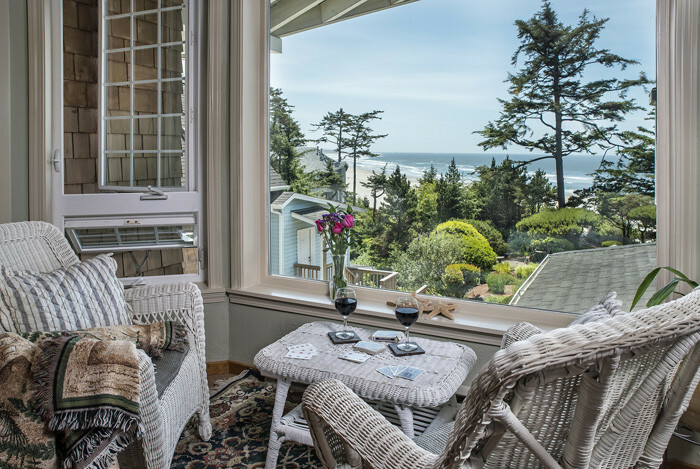 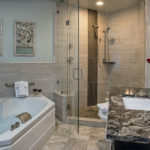 From the inside the views of the lush gardens, forested landscape and serene Agate Beach beyond, bring the outside in. 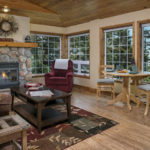 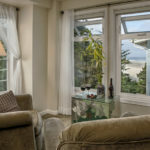 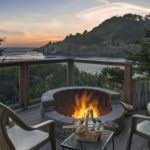 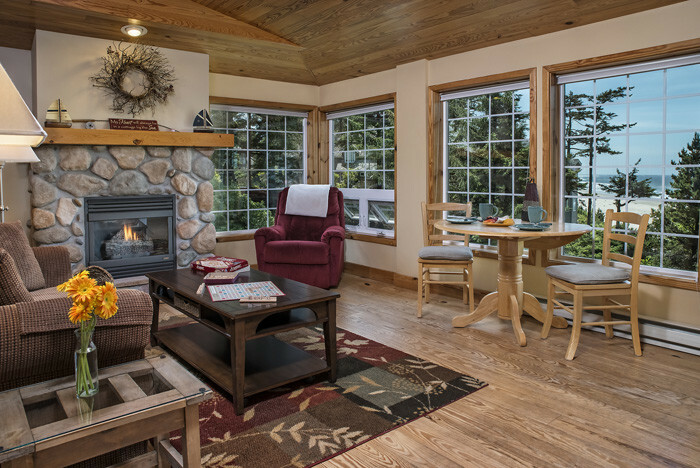 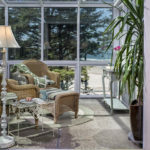 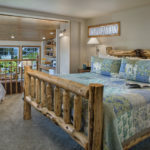 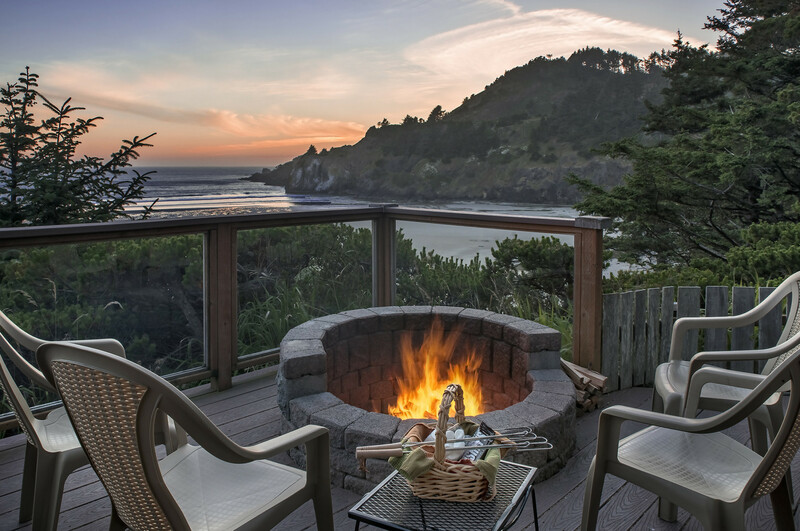 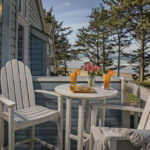 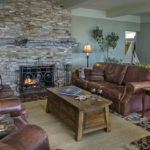 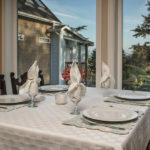 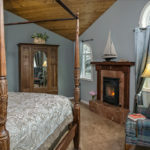 Outside, the patios, balconies and firepit deck a short walk down a treelined pathway, surround the beach cottage style Oregon coast oceanfront Inn. 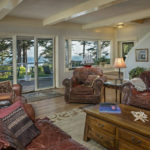 Whale watching charter tours-365 days a year! 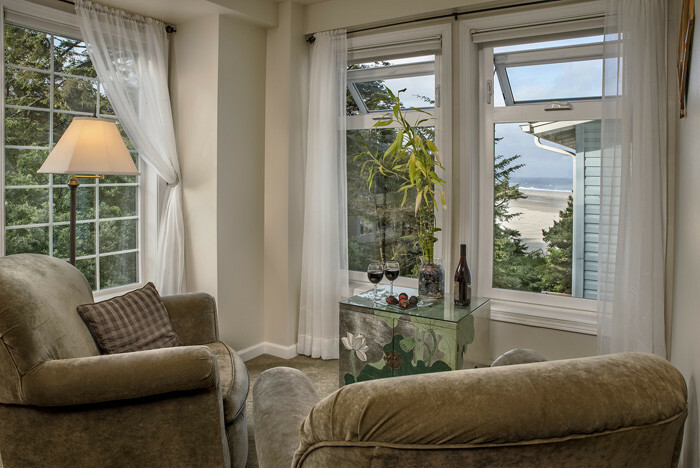 Plus the simple pleasures of beach combing, nearby Nye Beach is a popular choice. 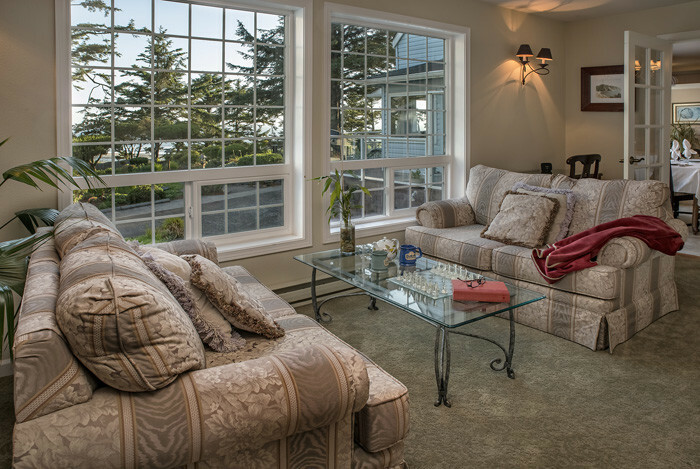 Agate Cove with its towering dramatic cliffs are accessible from the Inn. 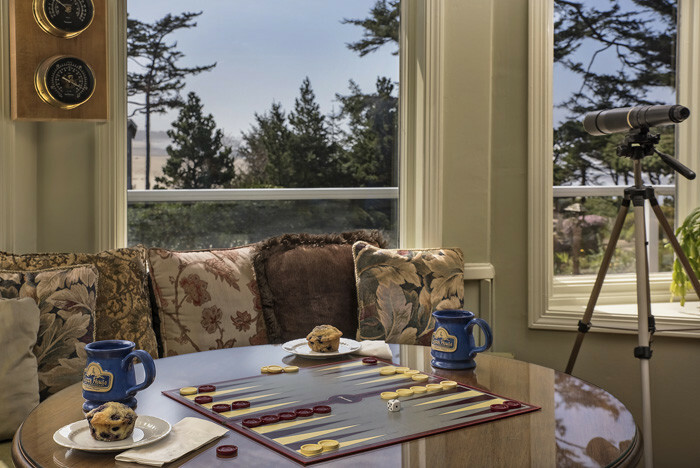 Newport takes Dungeness crabs very seriously! 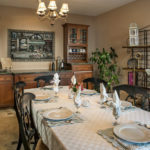 The restaurants do too. 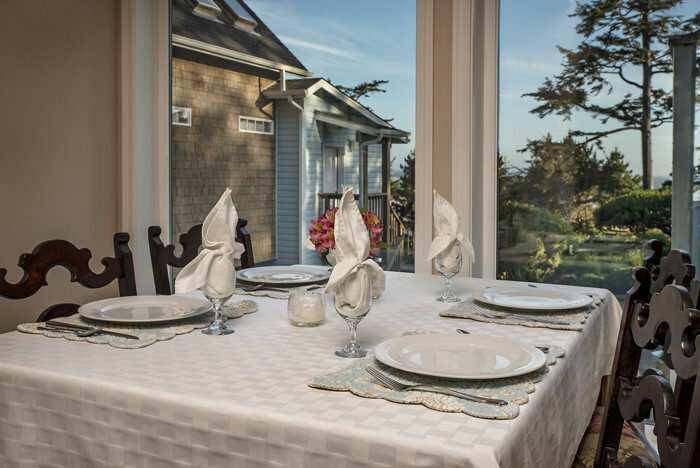 Locally caught fresh seafood from the sea is available, from sushi to chowder. 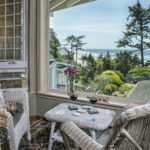 The historic bay front village has eclectic shops and family and adult attractions. 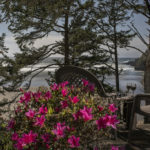 Day trips to wineries to sample Oregon’s famous Pinot Noir and tap rooms to sample Oregon craft beers. 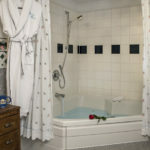 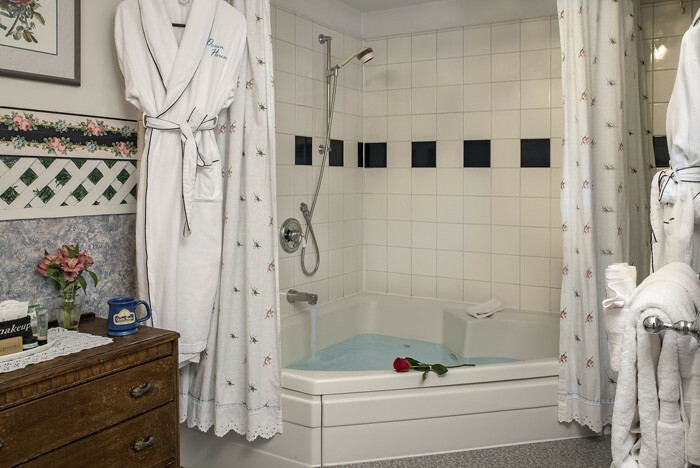 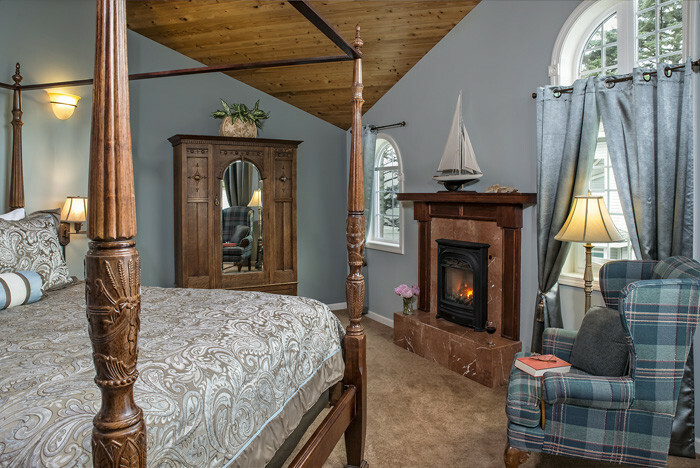 The Inn includes a recently renovated full kitchen, with commercial and residential equipment. 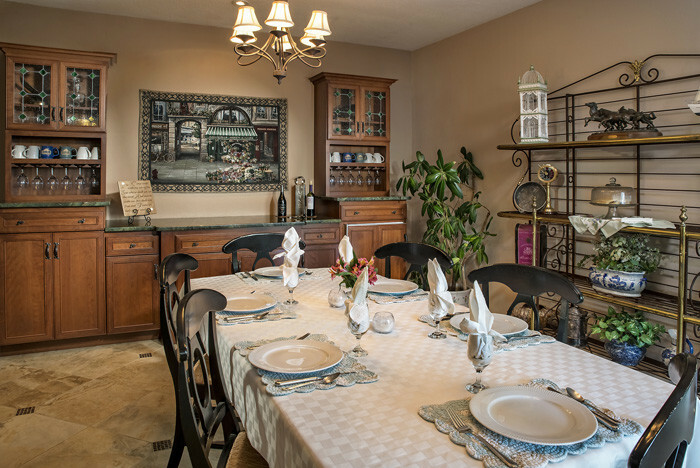 An office adjacent to the kitchen is conveniently located near the guest entrance. 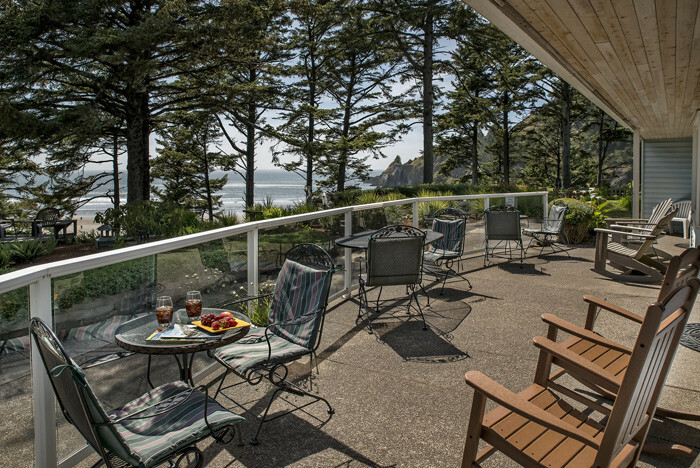 There is ample parking for every guest and owners.